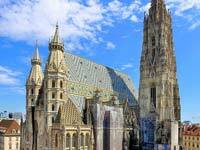 Vienna, the Austrian capital, is known all over the world for being the city of music. Throughout the centuries, Vienna has been the place of formation for some of the most important and celebrated musicians in history. From Mozart to Beethoven and Schubert, this is the city that inspired and help them grow as artists. It is not surprising, then, that the city is one of the major European venues of culture. Plays, operas, ballets, and museums all make up the soul of the city, which seems constantly preoccupied with learning and creating. It is also not surprising that Vienna is known for its cafe culture, where everyone, from intellectuals to gossiping teens, get together to drink coffee, exchange ideas, and enjoy some delicious sachertorte. 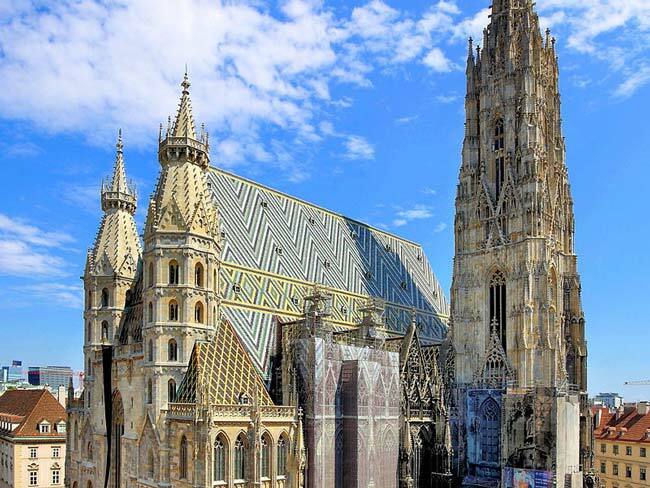 If you’re wondering how to make the most of your time in Austria’s capital, here are the top five things to do in Vienna. With an extensive collection that includes the famous Venus of Willendorf, this is one of Vienna’s finest museums. 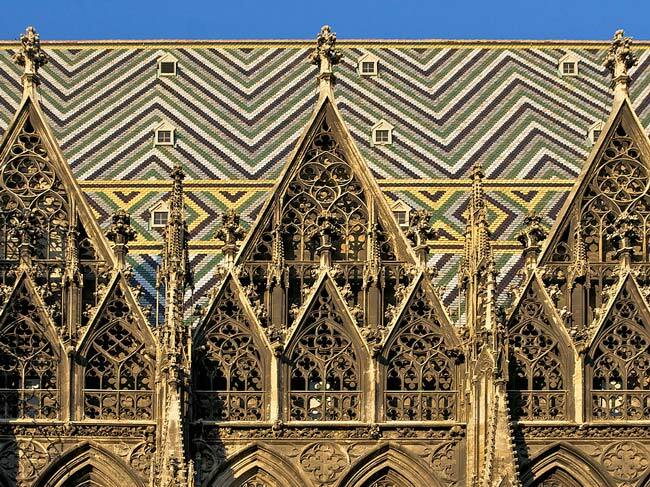 If you love history and culture it might be hard to choose how to spend your time in Vienna. After all, the city is known for its incredible museums that range from fine art to national history to countless other subjects. 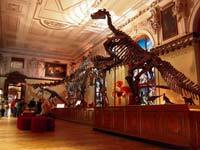 The Museum of Natural History, however, is undoubtedly one of the best collections the city has to offer. 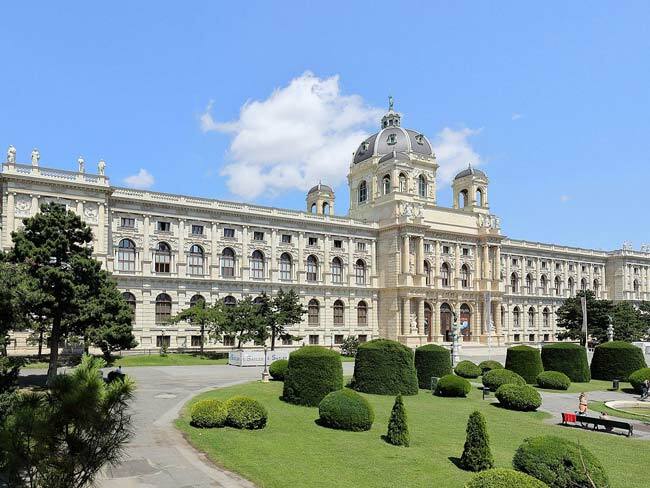 Also known as the NHMW (and in German as the Naturhistorisches Museum Wien), the museum was established between 1872 and 1899. 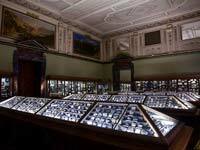 Today its exhibitions contain over 30 million artefacts displayed in nearly 9,000 square metres of exhibition space. The Venus of Willendorf is an 11-centimetre high state of a woman dating from about the 27th century BC. Made of limestone and tinted with ochre, the statue emphasises the woman's breasts and so may have been used in fertility rituals. More generally, the NHMW has extensive exhibitions covering millions of years of the earth’s history, many of which use the latest interactive technology. Particularly impressive are the diplays of meteorites (the largest in the world, including the Tissant meteorite from Mars) and dinosaur bones (in the newly renovated hall 10, with exhibits including a full-sized Diplodocus skeleton). Part of the charm of the museum is that it appeals to absolutely everyone. From the solo traveler to the intergenerational family, the museum’s curators have made sure to keep everyone entertained with the variety of displays. where? The Vienna Museum of Natural History is located at the Museumsquartier museum complex. To get there on public transport, take the U2 subway to Museumsquartier, or the U3 to Volkstheater; tram D, 1 and 2; or bus lines 2a or 57A to Burgring. when? The museum is open from Thursday to Monday from 9 am to 6:30 pm, and Wednesdays from 9 am to 9 pm. Though it is normally closed on Tuesdays, it opens on some Tuesdays following a major holiday, and closes on December 25th and January 1st. £$€¥ General admissions for adults is €10, seniors enter for €8, students for €5, and children under 19 years of age enter for free. 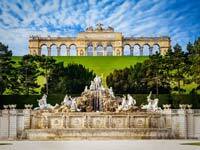 The Schonbrunn Palace, the summer house of the Habsburgs, is a vestige of Vienna’s royal past. Opened in the last year of the 17th century, this 1,441 room Baroque palace has the weight of centuries-old history on its shoulders. 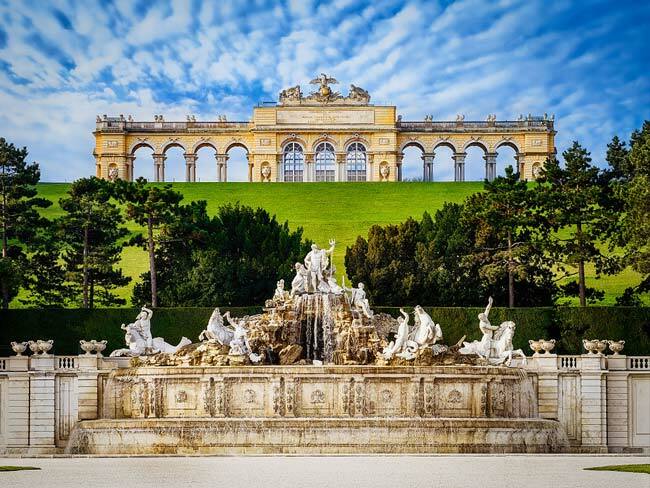 First conceived as a hunting ground, the opulent palace soon became the favorite summer palace of the Habsburgs, Austria’s most powerful ruling family. 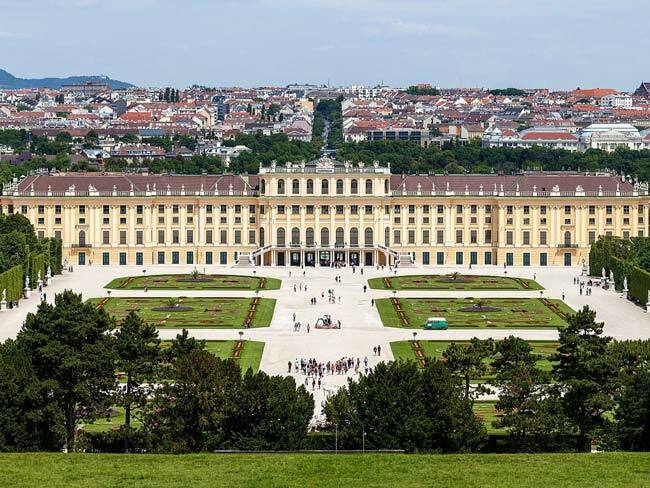 Today, the palace is considered one of the most important landmarks in the country, as it contains pieces of the personal history of rulers like Emperor Franz Joseph (Austria's emperor between 1848 and 1916) and Maria Theresa (Austraia's Archducess between 1740 and 1780). 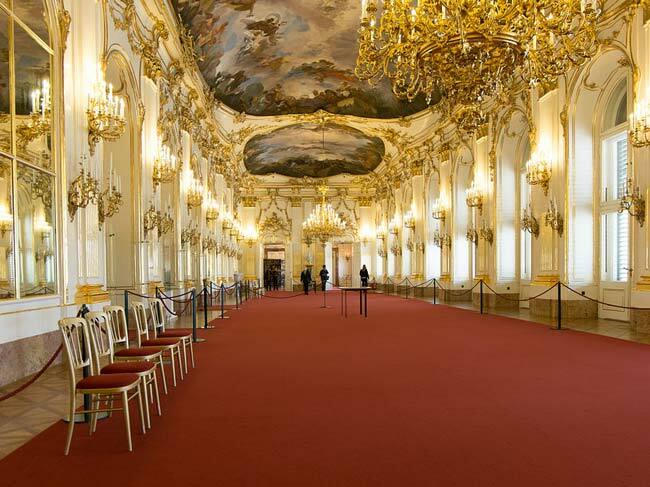 The royal quarters, the gardens, and galleries like the Hall of Ceremonies are all open to the public and provide invaluable insights into the life of the Hapsburgs. 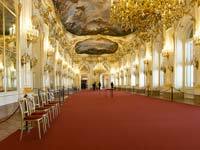 Don't miss the Mirror Room, decorated in gold Rococo style, in which the 6-year old Wolfgang Amadeus Mozart gave his first public concert in 1762. The gardens are another must-see. The 120 acres contain an orangery, palm house, English garden and a number of statues and monuments (including the grand Gloriette (pictured), erected in 1775 on top of a 60-metre high hill). The palace’s architecture is so impressive that it is often ranked above Hofburg Palace (the Imperial Palace that is located in the heart of Vienna). where? It is easy to arrive at the Schonbrunn by public transport. Take subway line U4, tram lines 10 and 58, or bus line 10A to the Schonbrunn station, which is located near the palace. when? Admission times vary throughout the year. The palace always opens at 8:30 am but closes at 5:30 pm from April to June, at 6:30 pm from July to August, at 5:30 pm from September to October, and at 5:00 pm from November to March. Hours also differ for gardens and the park. £$€¥ Admission prices for adults start at $15, with children and students enjoying a discount, park tickets are much cheaper, and cost around $6 for adults. Combined tickets start at $22 for adults and $15 for children, and allow you entrance into different parts of the palace. 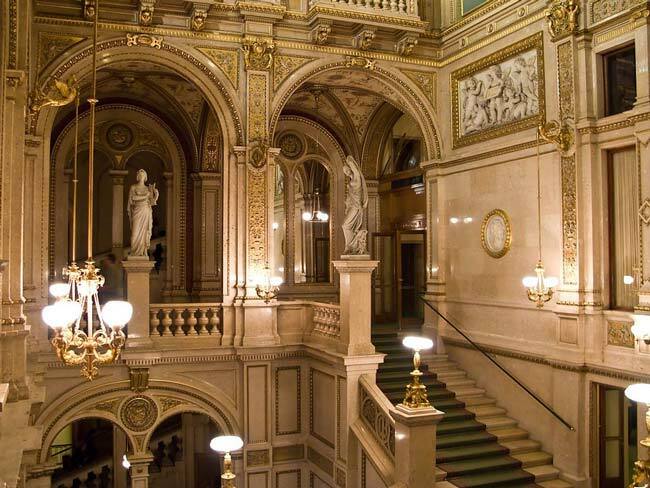 In the world capital of music, a visit to the Opera is practically mandatory. 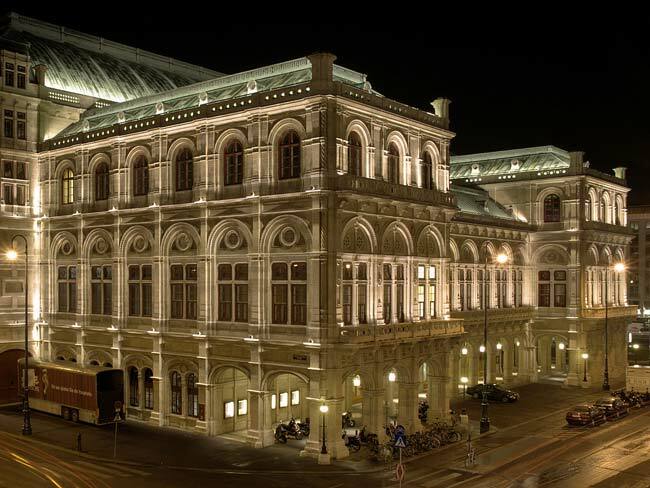 The Vienna State Opera is one of the most prestigious cultural institutions in Europe, and is constantly acclaimed for the quality of its orchestra, its magnificent repertoire, and the beauty of its architecture. Built in the 19th century, the opera hosts the world’s most famous ballet and theatre companies, and continuously delights culture lovers. 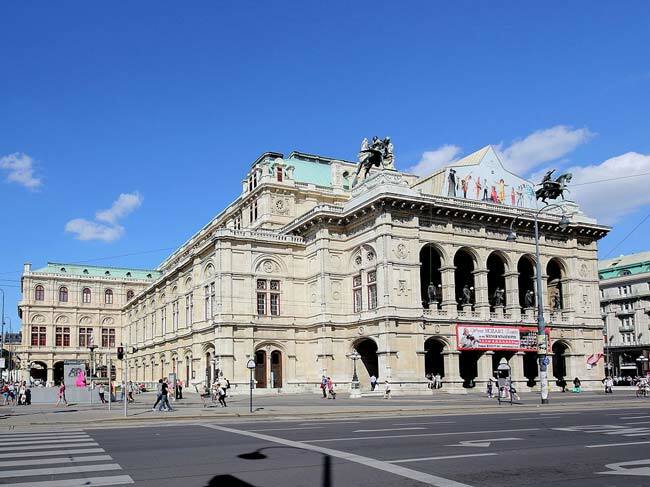 Originally named the Vienna Court Opera, its name was changed in the years following World War I and the fall of the Habsburg Empire. Though it was heavily bombed by the allies during World War II, its front facade and several of its original structures remained intact. The parts that had been destroyed, like the auditorium, were restored to look exactly like they had done before. This means that the opera house today is one of the most iconic and beautiful structures in the city, and one that the music-loving Viennese are extremely proud of. where? The Vienna State Opera is located in the city center, close to the Hofburg Palace. 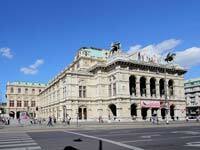 The easiest way to reach it through public transit is to take the tramway to the Vienna Opera (Wien Oper) station. when? Times for guided tours around the opera house and for shows vary depending on the season’s schedule. 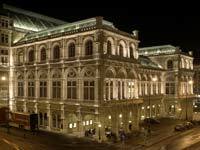 To see what’s on the repertoire as well as show times, refer to the Vienna State Opera website. £$€¥ Show ticket prices vary (in 2016 the range was €15-225), but they are generally pricey. However, considering that this is one of the most acclaimed opera houses in the world, the prices are well worth the experience. Tours around the opera house cost $8.50 for adults and $4 for children. 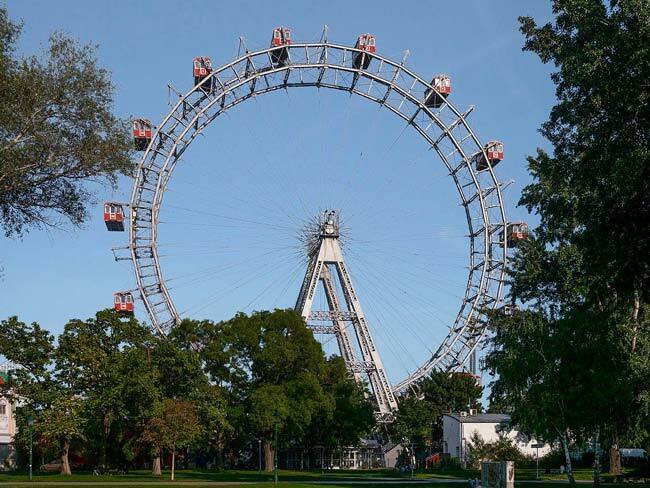 This almost 65-metre tall ferris wheel is one of the best ways to see Vienna. At one point the largest ferris wheel in the world, the Weiner Riesenrad (meaning Vienna Giant Wheel) is one of the symbols of Vienna and the locals love looking at it as much as riding it. Constructed in 1897, it was not a success when it was first opened to the public. Over the years, however, it has grown in popularity and today it is one of the most visited attractions in the city. The entire ride around the world takes almost 20 minutes. During this time, passengers can enjoy a breathtaking view of Vienna from 65 metres up in the air. The experience is definitely unlike any other in the city, and a pleasant way to relax and enjoy a pretty view after sightseeing. where? The ferris wheel is located in Prater amusement park in the Leopoldstadt neighborhood. To access it, take the underground U1 to the Praterstern station. when? The wheel opens daily from November to February from 10 am to 8 pm, March to April from 10 am to 9:45 pm, May through September from 10 am to 11:45 pm, and October from 10:00 to 9:45 pm. £$€¥ A ride in one of the gondolas costs $10.50 for adults and $5 for kids. There are reductions for holders of the VIENNA-Card and large groups. Infants under the age of three enter for free. 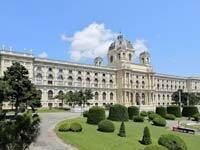 Located at the geographic centre of Vienna, Stephansplatz is the historical and cultural heart of the city. Anyone who visits Vienna ends up passing through Stephansplatz. Like most European historic centres, this is where you’ll get a glimpse of what the city was like hundreds of years ago. 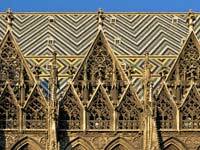 The crowning jewel of the square is, of course, Stephansdom, the most iconic cathedral in Vienna and at 137 metres one of the tallest in the entire world. This breathtaking house of worship is an architectural masterpiece and one of visitor’s favorite landmarks. Besides the church, Stephansplatz is surrounded by pretty little streets, chic boutique and souvenir shops, restaurants, and cafes. Visitors looking to have a Viennese coffee house experience enjoy people watching here after sightseeing or shopping. This is also one of the busiest places in Vienna, as there is a constant influx of people transferring to and from. Despite the business, however, the square never loses its charm. where? The Stephansplatz is located at the city centre and easily reached on foot from most other landmarks in the centre. On public transport, the U-Bahn station that carries the name of the square is also a major junction in the city. when? Like all squares, Stephansplatz is open at all hours of the day. However, commerces and restaurants follow regular business hours, and there usually is not much going on after bars and restaurants close down. £$€¥ Visiting the square and walking about is free of charge. However, as it is a major tourist attraction, be prepared to pay more for goods, services, and consumables than you would in other parts of the city.